If you’ve established your website’s credibility, your site will start to look trustworthy to a cold visitor, and you’ll get people giving you their information. 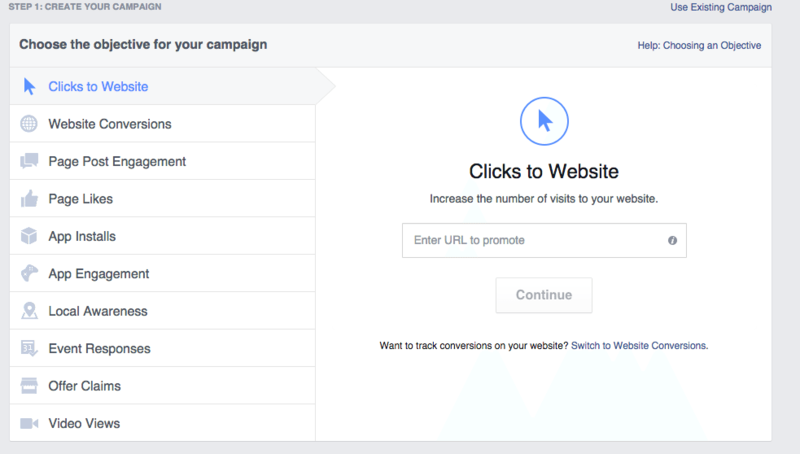 We are now going to set up some ads on Facebook to get more new visitors to your website. This will help you build an email list to sell through. Step 1: Choose your most popular articles and go to facebook.com/ads. Step 2: You’ll see a green button that says “Manage Your Ads” in the top right. Click that. Step 5: Input the URL of the most popular article you have posted on your website. 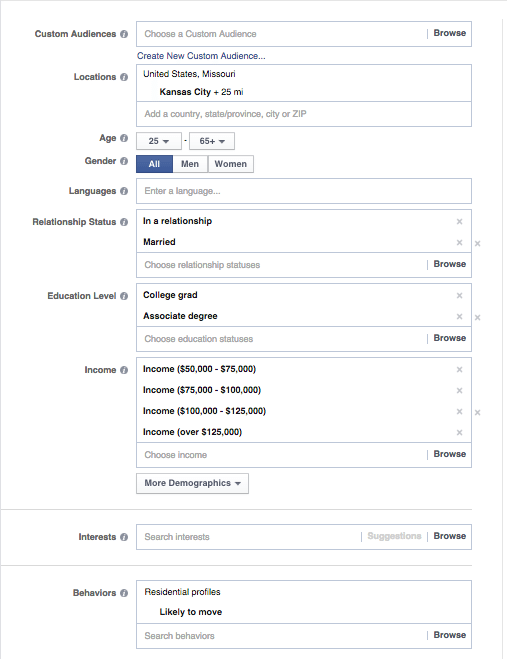 Step 7: Next, connect your Facebook page; it’s statistically proven that you’ll get better results if you run Newsfeed ads over Sidebar ads. You can only do this if you connect your real estate Facebook page, though. Step 8: Place your article’s title in the “headline” box and write a short description about the article for the “text” box. You can also limit the type of people that click your ad by adding text like: “Thinking of selling: [article title].” This helps guide people who are thinking of selling houses to click your ads. 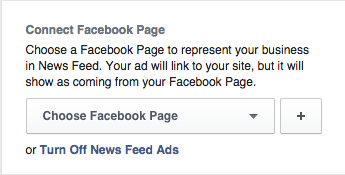 Step 9: Turn on Newsfeed Ads, Mobile Newsfeed Ads: These convert very well. Step 10: Turn off Sidebar Ads and Partner Mobile Apps: These don’t convert as well. Now that your ads are ready, you have to set your bids and budget for the campaign. I suggest spending around $200 to $500 per month. Next, you should choose “optimize for clicks.” If you leave “Automatically optimize your bids to get more clicks,” you will end up with less targeted traffic and a higher cost. Go back and repeat this process for at least two more articles. Congratulations! Your ads are now being shown to tons of potential buyers and sellers around your area. These people are going to visit your website for articles and headlines that are statistically proven to convert — and you’ve set up your website to get their email address, phone number and name. 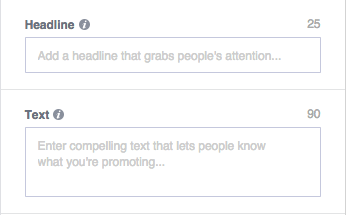 Next in the series, I’ll cover how to handle the leads that you generate using Facebook ads. Tyler Zey is an award-winning digital marketing expert who frequently works with small businesses. He also plays clarinet professionally in several orchestras. Currently, he is the digital marketing director and contributing editor for the Real Estate Digital Marketing blog on easyagentpro.com.